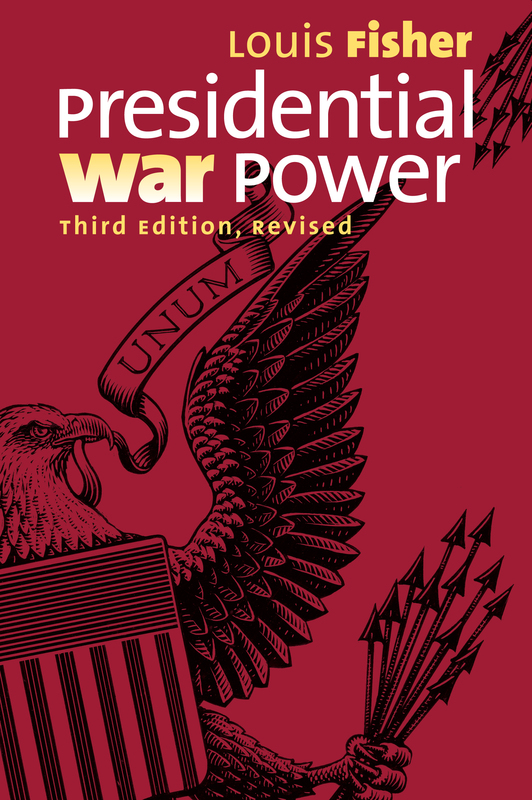 A classic and bestselling work by one of Americas top Constitutional scholars, Presidential War Power garnered the lead review in the New York Times Book Review and raised essential issues that have only become more timely, relevant, and controversial in our post-9/11 era. Louis Fisher, recently retired as Scholar in Residence at the Constitution Project, previously worked at the Library of Congress as Senior Specialist in Separation of Powers (Congressional Research Service) and as Specialist in Constitutional Law (Law Library). His many books include The Constitution and 9/11: Recurring Threats to Americas Freedoms; Military Tribunals and Presidential Power, which won the American Political Science Associations Richard E. Neustadt Award; In the Name of National Security: Unchecked Presidential Power and the Reynolds Case; and Constitutional Conflicts between Congress and the President. In 2012, he received the APSAs Hubert H. Humphrey Award for notable public service by a political scientist.